Spiritual Direction can mean different things to different people. Our description would describe it as a meeting between a competent guide, who has been trained in the art of spiritual direction, and a directee who is eager to grow in his/her relationship with God, prayer and discernment. The director listens to the directee’s life story, daily experiences and prayer. The focus of this spiritual direction is the directee’s relationship with and experience of God. The directee is helped to notice, reverence and pay attention to God’s personal communication to him/her, to engage in this communication and to grow in intimacy with this God. The directee is encouraged to integrate one’s spirituality, faith, work, relationships and prayer. The frequency of sessions is established through dialog between the director and directee. A person may meet 4-6 times a year, monthly, every two weeks or weekly. Usually there is a stipend or financial scale suggested by the individual director. The privilege and responsibility of a spiritual director is to journey with you as the above desires are fulfilled. Contemplative listening and discernment are core essentials of what a spiritual director does. Confidentiality is a priority. People of all ages and faith denominations are most welcome. 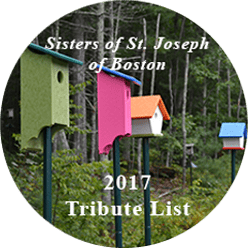 Spiritual direction is offered by many Sisters of St. Joseph and Associates in various geographic areas. The primary site is 637 Cambridge Street, Brighton, MA 02135. St. Joseph Spiritual Ministries is also able to suggest other trained spiritual directors who may minister closer to where you work or live. Links that have lists of directors’ names and biographical sketches are also made available on this website. 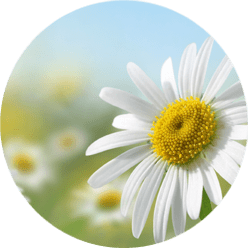 The Spiritual Direction Internship Initiative is a training program in spiritual direction that meets Tuesdays from 9 AM – 4 PM from early September through mid-April in Brighton, MA. At the beginning of each semester there is a Directed Prayer Weekend, which is held at the Notre Dame Spirituality Center in Ipswich, MA. Additional responsibilities of the intern include offering spiritual direction to 2-4 people every other week under the guidance of a supervisor with whom an intern regularly meets. The Nineteenth Annotation Retreat is an alternative way to experience the full Spiritual Exercises of St. Ignatius of Loyola while remaining at home and continuing one’s normal routine. 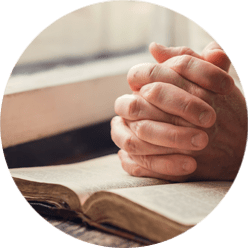 Retreatants commit to one hour of daily prayer, a review of prayer and approximately 34 weekly, individual sessions with the director. 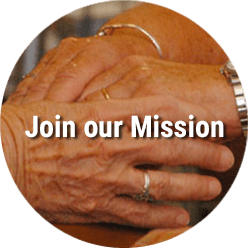 These opportunities provide time for input, sharing, prayer and socializing for all who are involved in the individual direction of people in the context of spiritual direction, spiritual conversation and/or directed retreats. Treat yourself to a day of professional development and personal enrichment in the company of ministerial peers. Director-centered individual supervision is available in Brighton for directors who offer the 19th Annotation Retreat and/or spiritual direction.